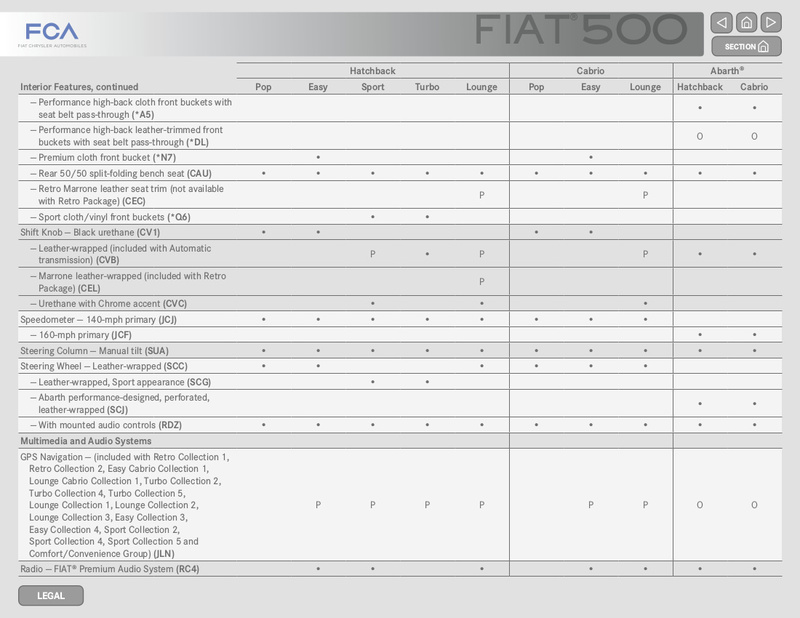 Specifications brochure for the 2017 Fiat 500 with a 101hp 1.4L 4-cylinder engine or 135hp or 160hp turbo versions. Models include the Hatchback (Pop, Easy, Sport, Turbo, Lounge), Cabrio (Pop Easy Lounge), and Abarth (hatchback and Cabrio). Detailed specifications, options and packages are listed within. This is part of the Chrysler Fleet preview issued in late 2016.